Nepali has also been adopted by peoples of the Himalayan region who belong to different linguistic groups, and is now understood throughout the whole of Nepal, the Darjeeling region of West Bengal, Sikkim, Bhutan and parts of Tibet, where it has functioned as a language of trade and commerce for well over two centuries. The aim of this course, which covers the whole grammar and all the constructions of modern Nepali, is to present a full description of both the spoken and written forms of modern standard Nepali, and to enable the student to understand, speak and read most types of Nepali he or she is likely to encounter. The earlier lessons concentrate mainly on the spoken style, and the conversation passages whilst the later lessons concern religious, political and literary topics. Nepal is a land which already provides great enjoyment to the increasing number of visitors from the west. 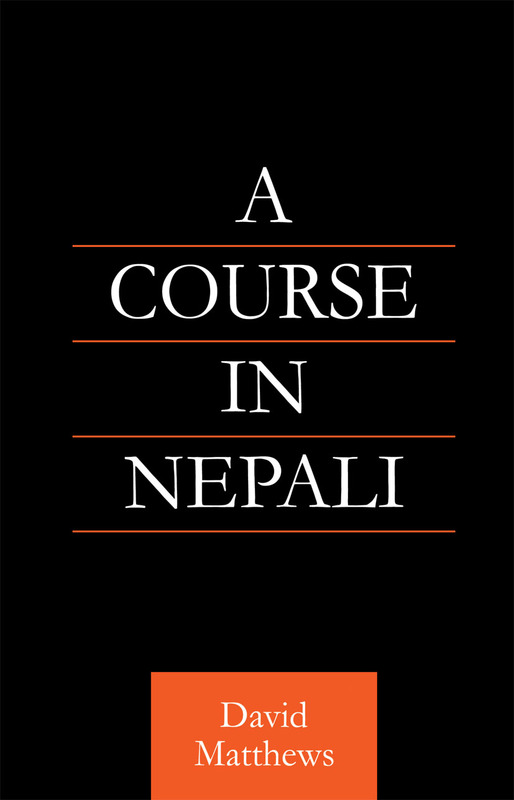 A knowledge of the language leads to a deeper understanding of the culture of its people, and the object of A Course in Nepali is to provide the means of learning it without much difficulty. Earlier editions of this course have been the standard book for students at the School of Oriental and African Studies, and it is without question the established market leader.